Amen, Pastor Crippen!!! I would give this post a thousand likes if that were possible. Thank you for posting this very true observation. “Experiencing Evil’s Attacks is a Pre-requisite to Helping Victims” should absolutely be one of the requirements necessary when someone is counseling abuse victims or survivors. It is the only way a person can truly understand and have the compassion needed to help the Lord’s wounded sheep. It is not something anyone can learn from a book, conference, seminar, or in any other way than experiencing the pain and trauma first-hand. “Experiencing evil’s attacks is a prerequisite to helping victims.” My experience validates the truth of this statement. For many years (30+) I counseled and discussed with many professionals and friends concerning the abusive behavior I was living under. Only those who had similar experiences offered any help or hope. Sadly most did not profess to be Christians. Today I find myself placed in conversations with men and woman who are being or recently separated themselves from those who habitually abuses them. These become deep and meaningful conversations helping shed light upon these acts of evil andoffering freedom to the abused. As destructive 30 years of living under evil’s abuse I’m taken back by how what was meant for evil God redeems into good. I think an area where a lot of people are blind is how abusive women can be. 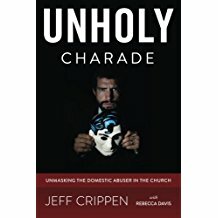 Female abusers are in pews, in the choir, running children’s and women’s ministries and, sadly, even married to the pastor(s). They hide in plain sight and are able to abuse entire congregations and communities for years or even decades.